I’m so freaking excited for fall. 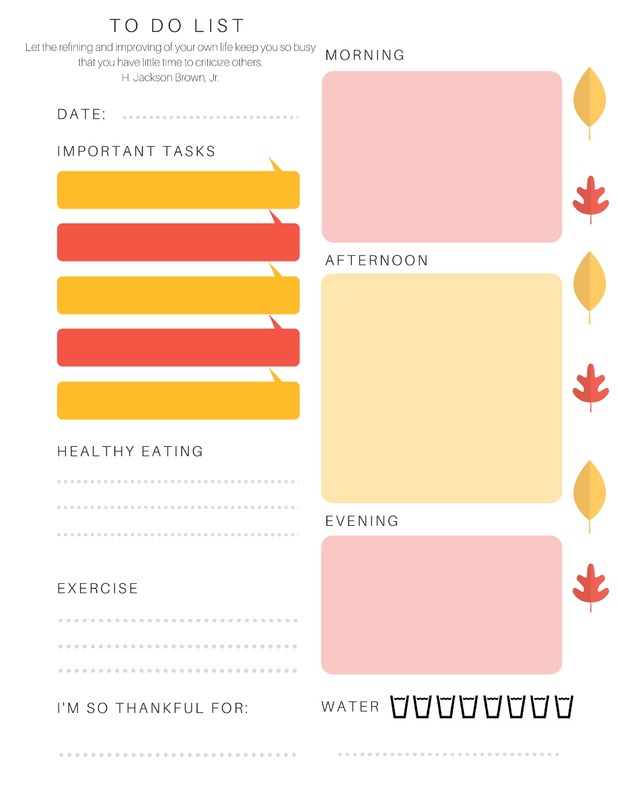 Writing my fall self-care guide really got me in the spirit and I decided to make a fall edition of my mental health planner! If you’re not familiar with the original you can check it out here. Ever since college, I have been searching for the perfect planner system. 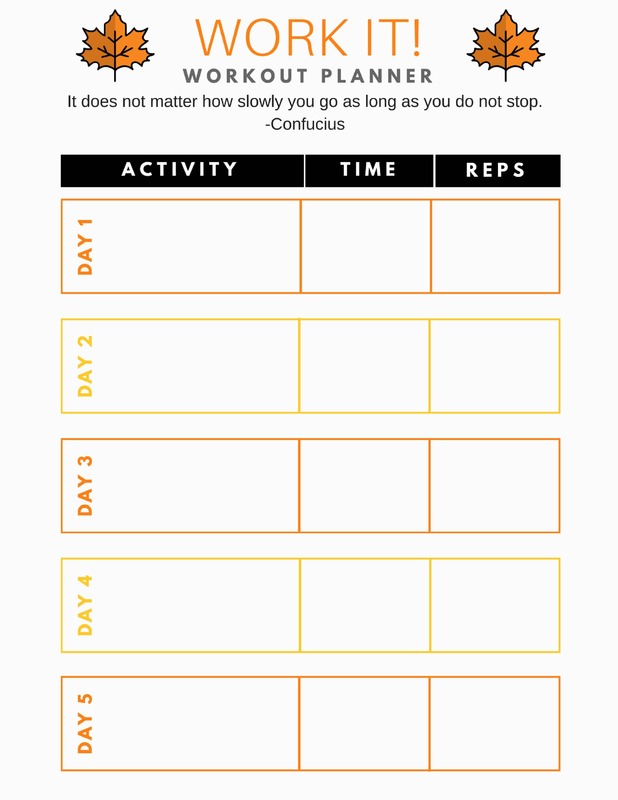 For a while, I was loyal to bullet journaling but it was too unstructured for me. After a while, my bullet journal just became a regular journal and my to-do lists and planner pages got buried and disorganized. Bullet journaling is a great system if you’re an organized person but I am not an organized person. In fact, I am a disorganized freaking mess most of the time. 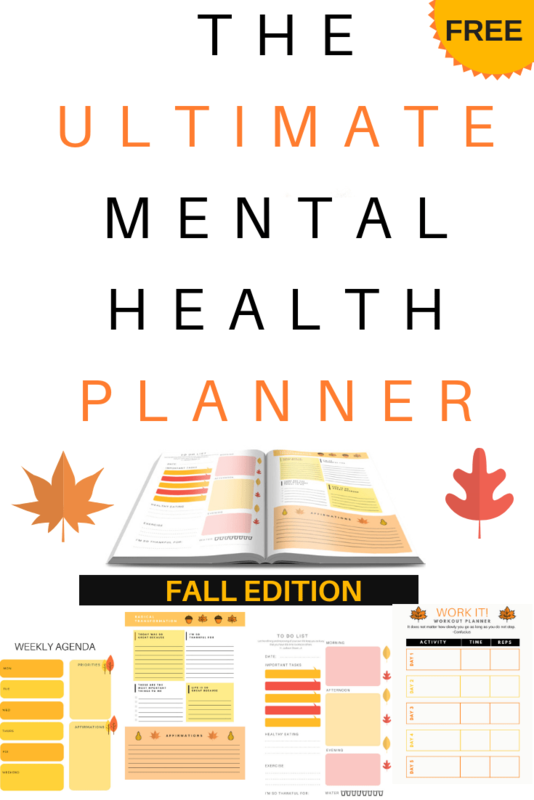 I created this mental health planner to solve my planner issues and let me put everything in one place. I thought I would share it so you guys could use it too! I keep it on my desk and it helps me have a clear vision of what to do each day and I’m able to stay on task. 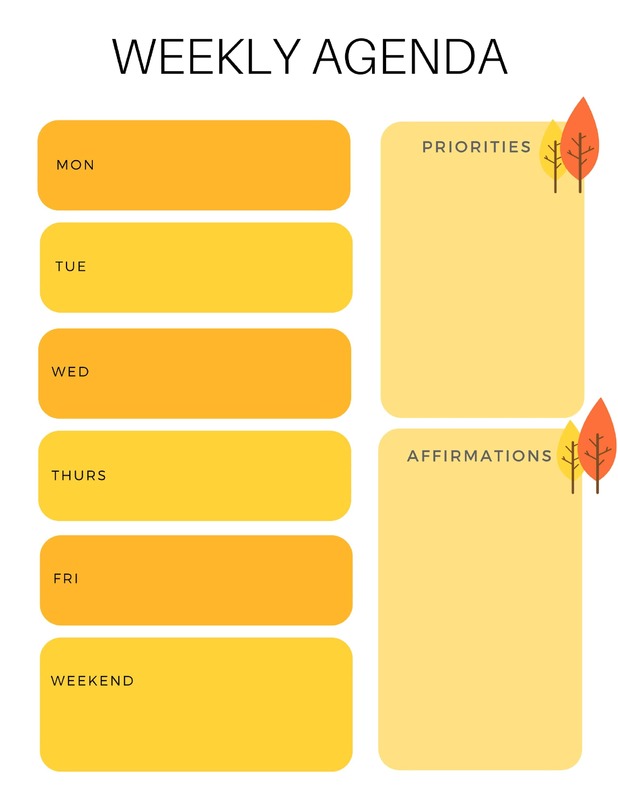 Here’s how I use my planner to help my mental health. I’m planning on adding more pages to the mental health planner so let me know what pages you would like to go with it. 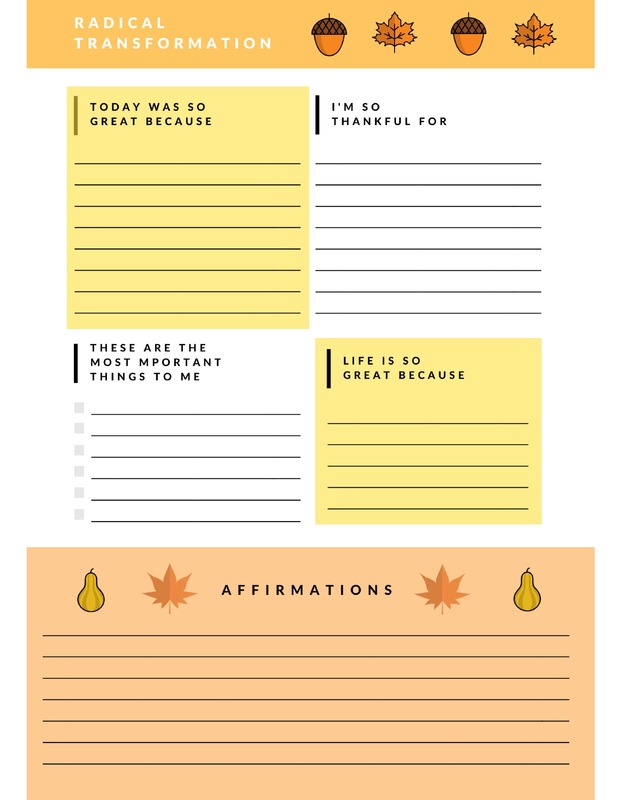 So far this has been working for me but I’m sure I will make some changes and additions. I’ll let you guys know how it goes over the next few months! 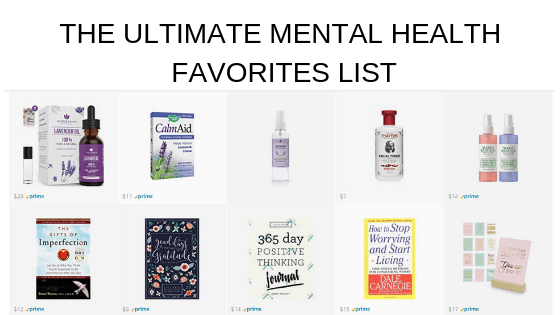 If there are any more mental health resources you would like to see please let me know.